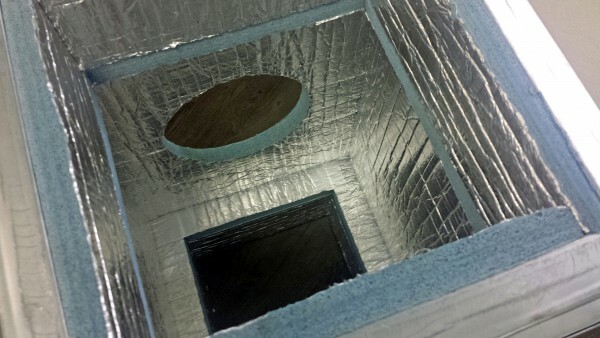 Thermobreak® Acoustiplus™ is ideal for and are extensively used in duct lining applications. Supplied in rolls or sheets to meet both acoustic and thermal requirements, Thermobreak® Acoustiplus™ provides excellent insulation, durable protection against condensation, and an outstanding acoustic performance at low profiles. The Thermobreak® range is a leading flexible thermal insulation material made from physically crosslinked (irradiation) closed-cell, polyolefin foam, factory bonded to pure, reinforced aluminium foil. Thermobreak® provides superior energy saving performance, fast and simple installation, and trouble-free operation in a variety of environments.